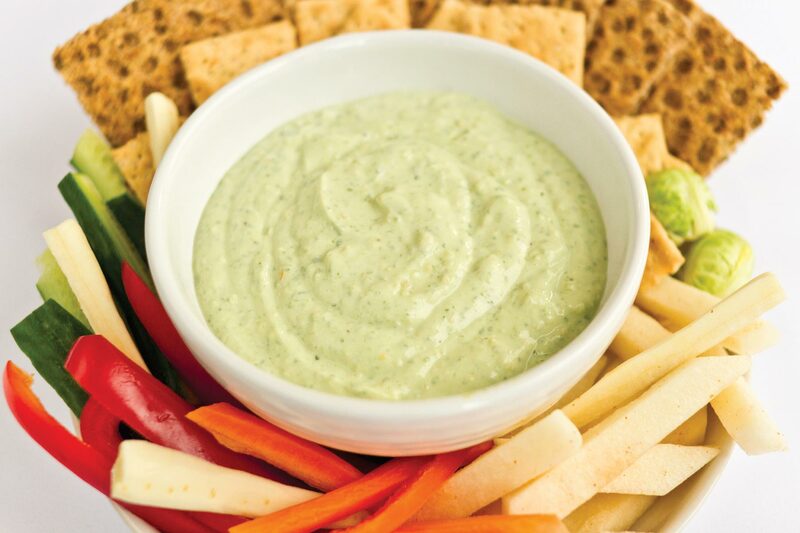 In a food processor, blend the first three ingredients until you have a well, mixed and creamy dip. Add the remaining ingredients and finish processing. Serve with fresh or slightly steamed vegetable crudités.